Home › Israel IP › On Balance, Not a Bad Ruling! On Balance, Not a Bad Ruling! 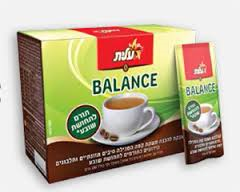 Balance is a coffee drink manufactured by Elite, which is owned by the Strauss Group. They developed a dieting product that is sold as a powder for preparing ‘coffee’, the product includes milk protein and dietary fibers derived from the chicory plant, and helps ward off hunger pangs. Orli Bar is a fitness instructor. She was engaged by the Strauss Group to promote the product, and when, a month after the launch, the product was recalled, she claims that her reputation was tarnished and sued for 250,000 Shekels in loss of earnings and a further 250,000 Shekels in suffering due to the episode. Orli Bar is a fitness instructor. She claims that the Strauss Group made a presentation to her about the product, which they claim to have spent 4 million shekels (a little over one million dollars) developing over years, and which they marketed as a worldwide breakthrough. Orli Bar claims a reputation in Israel, as she had served as a presenter on a dieting reality program (L’redet Begadol) on Israel’s Channel 10 TV channel. She alleged that as a result of her believability, professionalism and reputation she was approached by the Strauss group to present the marketing campaign for the beverage, for which she would earn 70,000 Shekels + VAT. The campaign was a great success and the product was sold out. A month later, whilst not accepting liability, the Strauss Group withdrew the product following consumer complaints of feeling ill, to enable them to do extensive research. Ms Bar alleged that it had transpired that prior to the product launch the Strauss group were aware that some users would experience a feeling of unwellness and stomach cramps. Based on a newspaper article she alleged that the Strauss Group knew of problems prior to the product launch and that the Strauss Group had received negative feedback from testers prior to the launch. Nevertheless, they had not issued any warnings and had not brought this to her attention when selling the product to her. Furthermore, the Strauss Group did not seek special licensing for this breakthrough product. Adults should have no more than 25 grams of dietary fibers, and each serving included 5 grams, yet there was no indication that consumers should refrain from more than 5 cups a day. Ms Bar claimed that hitherto to the episode, she’d only promoted products that she’d personally experienced and could vouch for, and the episode had linked her to the faulty product and damaged her reputation as a weight loss guru that had been cultivated over decades. She sued for 250,000 Shekels in lost earning potential and a further 250,000 Shekels compensation for personal suffering caused by the episode. The Strauss Group alleged that Ms Bar was trying to become rich unjustly and to be compensated for damages that she had not suffered. They did not consider the product as flawed. They noted that the ingredients were all natural and were all widely used in the food and drinks industry. The charges was not brought about a flawed product but about a damaged reputation, but the statement of case related to the product. They acknowledged that they had approached Ms Bar to present the product since she was a fitness instructor on a televised dieting program, but rejected claims that she had been approached to lead the advertising campaign, and that she had a reputation for honesty and integrity. The product was only available for a month, and was narrowly advertised to the niche target audience. A month later the product was withdrawn, but not as hysterically or dramatically as Orli Bar had alleged. Simply, following a small number of complaints of not feeling well, and three alleged allergic reactions, the company decided to withdraw the product pending a fuller investigation. This was responsible behavior. There was no admittance or evidence of damage to health. Strauss rejected allegations that they had ignored Orli Bar, but had explained to her that they were withdrawing the product following a handful of complaints indicating that some consumers were sensitive to an ingredient and were complaining that they felt unwell. Strauss rejected allegations that they had known about side effects before the product launch and that had they had any concerns, they would not have launched the product. Furthermore, they claimed that the reported feelings of unwellness were not linked to the product at all, and it further transpired that the allergic reactions were not related to the product at all. Judge Oshri Frost-Frankel considered that the Strauss Group’s actions throughout the episode were reasonable. She accepted the results of a survey they had commissioned that showed that the plaintiff was not associated with the product. In the ruling, Judge Oshri Frost-Frankel concluded that the plaintiff had neither proven a reputation prior to the campaign nor damage to her reputation as a result of the campaign. She rejected all charges. All her ‘evidence’ was hearsay in the industry and her lawyers’ speculation. Indeed, all her witnesses had admitted that their respect for her had remained undiminished after the episode. The plaintiff was ordered to pay 25,000 legal costs to Strauss. Civil Ruling 33601-06-11 Orli Bar vs. Strauss Group, Tel Aviv District Court before Judge Oshri Frost-Frankel, 25 January 2015. Orli Bar complained that she was trusted as promoting products she’d used. I don’t think that she can blame the Strauss Group for her decision to lower this standard and promote a product merely since she was well compensated to do so. The TV dieting program ‘L’Redet BeGadol, means a great let down. It seems to be doesn’t it?